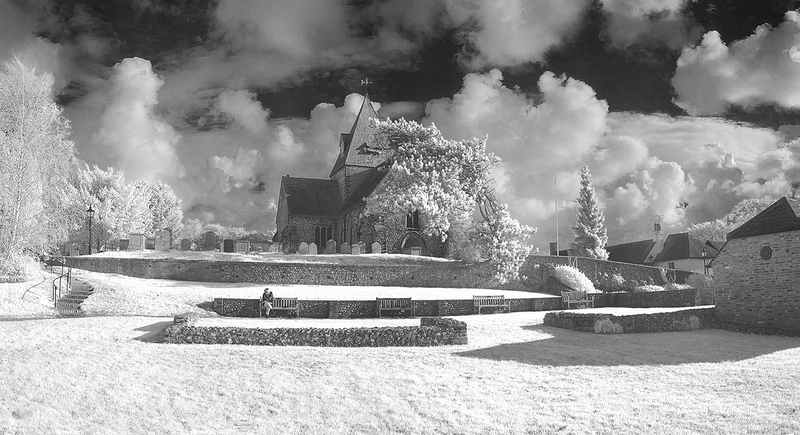 The Church of St Margaret of Antioch is the centrepiece of the ancient and historic village of Ditchling on the borders of East and West Sussex. The present building dates from the late 12th century, sited on the sandy knoll overlooking the village. 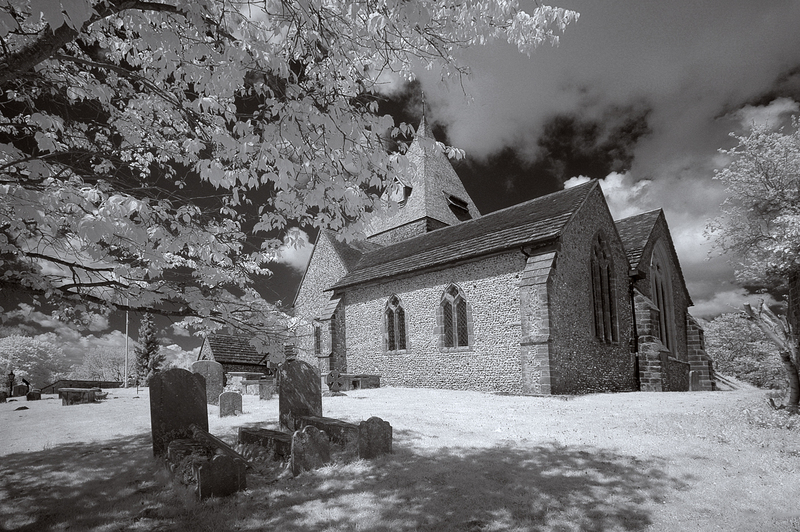 It is built on top of the earlier Saxon church referred to in the Domesday Book. Remains of the Saxon church are to be found in the lower walls of the nave. The chancel was built in the 1260s. The tower dates from the late 13th century and has a ring of eight bells. A major restoration was carried out in 1863 when three windows were pierced in the north wall of the nave, while an outside staircase that had given access to a choir gallery at the west end of the nave was removed from the north wall. As this gallery was being removed, traces of medieval wall paintings were found: these were considered too badly damaged to be restored and were covered over. The image below consists of three images stitched in Autopano.